Jason started with us back in August of 2016, dropping in a couple times a week to an effort to improve his general level of fitness and have some fun while doing it. 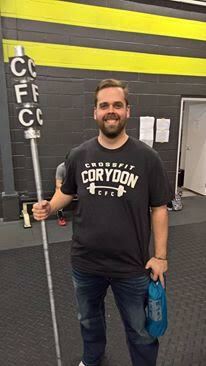 Since then his energy, effort and enthusiasm day in and day out has cemented him in the CFC community. 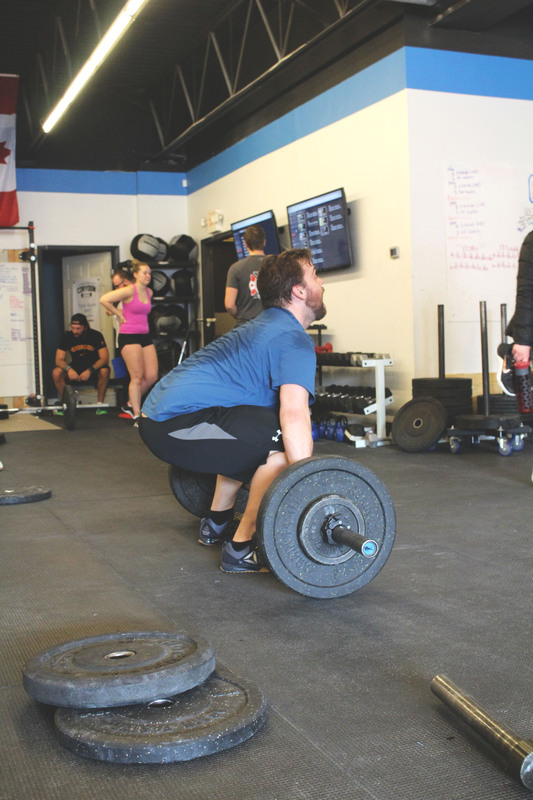 This extends from regular classes, to barbell club and outside the gym with our growing community. He is creator of the CFC staff and a beast when it come to barbell work, consistent effort and weightlifting/power-lifting progress and PRs. Not only has his performance and attention to detail been exceptional but the lifestyle changes and success story he’s had physically is incredible. We, as coaches, feel he’s only scratching the surface. You’ll be hard presses to find a happier, more positive and frankly more randomly social person that Jason. Keep up the awesome work and congrats Jason! 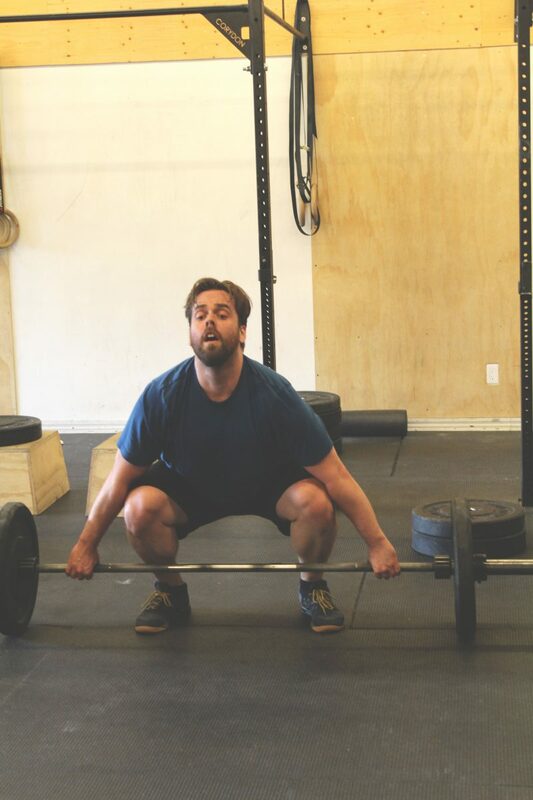 I started CrossFit in 2011 at CrossFit Winnipeg, and I have been doing CrossFit on and off ever since. At the time it was the next progression in my ongoing weight loss journey. I had lost ~80 lbs over 3 years by walking, bicycling, and calorie counting, but I wanted to get strong and didn’t know how. 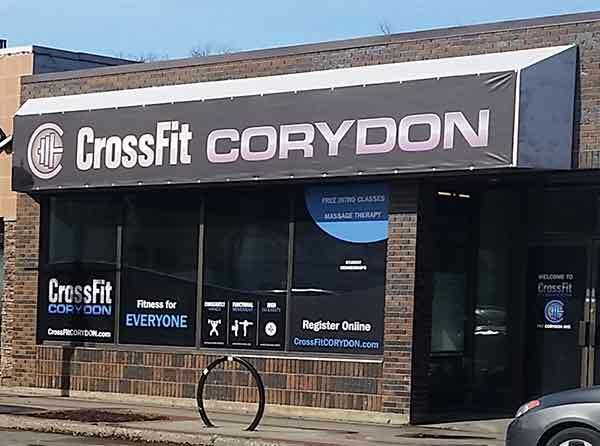 I had never heard of Crossfit, but from what I could tell it was a group weightlifting class, and it was a few blocks from home, so I signed up for a free class. I was super nervous going into the free class, my mind was full of memories of being mocked in high school gym for not being able to do a pull up or run 400 m, but when I met Tania and the coach staff at CFW I was relieved. The coaches were wonderful and supportive, they scaled the workout to my abilities (I still hurt for a week after), and Tania threw on a weight vest and did the workout with us. I signed up for OnRamp immediately, and Tania sat down with me to explain why calorie counting and microwave dinners was bad, and how if I was committed to losing weight I needed to switch to Paleo. I went to CFW for a little over a year, then CrossFit Undefeated, and then spent some time doing powerlifting at McDoles. But the support and motivation of the CrossFit community pulled me back, and still pushes me to add 5 more pounds to the bar. The great coaches and community at CFC (my current home) definitely helps as well! I’m a bit of a hobby hoarder so this list might get out of control. The list should probably start with cycling. In 2009 I bought a used bike from the Bike Dump and started commuting by bike. I found it very satisfying to commute under my own power on a machine that I can understand and fix on my own, and it eventually lead me to commute all year by bicycle, and volunteer at the South Osborne Bike Hub. As I started to accumulate kilometers, and bikes, I started to do some bike touring, and in the summer of 2012 I rode my bike from Winnipeg to Sault St. Marie, a ride of 1600 km in 19 days, camping most nights in my hammock, it was an amazing experience. I also enjoy making things, anything really, sewing quilts and bags, paper mache helmets, leather masks, costume stuff, festival signs and totems like the CFC totem. I also have a passion for electronic music, and staying up past bed time, so you’re also likely to find me wobbling in front of a speaker stack. CFC is an amazing community that keeps me pushing for the Gold Star Days. CFC has a knowledgeable group of coaches, and reasonable class sizes. I always leave knowing a bit more than when I arrived. I love the Olympic lifts. When it all comes together and you rip that 1 RM bar off the ground, it’s like nothing else. I hate any hanging bar work, like pull ups. Adam Savage, he’s made an awesome career out of making stuff, his inquisitive and obsessive nature resonates with me. Over the last 8 years I’ve lost ~130 lbs by progressively moving more and eating better. I’ve ridden my bike 171 km in a day (it was terrible), commuted through -40 C weather (also terrible), and gone 84 km/h downhill. Last week I finally broke through the 225 lb C&J barrier and hit 230 lbs. The coaching team at CFC is well rounded group with a wide scope of experience. Shane is great at coaching Olympic lifts; he always has great queues to refine my technique. Taylor always has insight to make sure you’re getting the most out of mobility and stretching work. Jason’s analysis of WODs helps me identify the impact of poor movement in workouts, and helps me set a good pace. Tidy up my diet, and get back to a weight & fitness where pull ups are possible. I am just a slightly fancy monkey.